Indoor or outdoor, that is the question haunting many new cannabis entrepreneurs. How do you decide between a greenhouse based operation, and an indoor one? Taking the time to complete a full cost/benefit analysis for your operation may mean the difference between making it and breaking it. 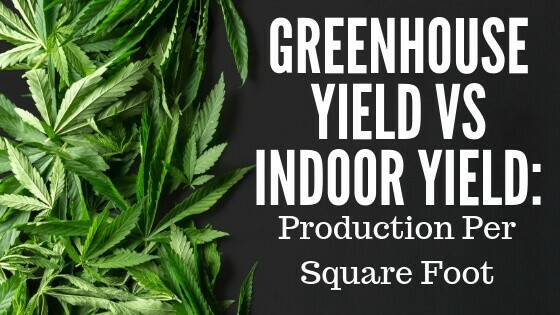 Here are a few considerations, comparing greenhouse yield vs indoor yield, which you may want to think over as you finalize your business decision. Indoor cannabis is grown entirely inside a physical structure and never sees natural light. Humans control the entire environment from atmosphere composition to nutrients to the light schedule. Growing indoors allows experimentation with all mediums, including soil, supplement additions, and light spectrum. Its crafted by human hands, not by nature. Indoors grows are often highly advanced, and tech-driven. Good indoor weed is usually also grown soilless system. From seed to sale, the cannabis may not ever see the light of day until you pop it in your bowl and light up. Greenhouse grow is often called sun-grown, or sometimes outdoor, although outdoor may mean entirely outside of human-made structures and protections. Greenhouse-grown cannabis lives within a greenhouse, a structure made of glass, or transparent material. Some climate controls are still implemented, like ventilation and humidity, but the sun comes straight from the sky. No tinkering with light cycles and spectrums, the cannabis grows based on its natural evolution with the seasons. Greenhouse cannabis is also typically a soil based system. What is the Difference Greenhouse Yield vs Indoor Yield? Ultimately, as a cannabis farmer aiming to sell their product, it goes without saying that the more you grow, the higher the profits. So, what environment supports the best yields? Some strains grown in outdoor climates, grow exceptionally well, reaching 10-15 feet high, with monster yields. If you are targeting these strains, and the climate supports it, a greenhouse is the road to choose. However, in colder climates, or for strains with highly technical requirements, an indoor operation will produce higher yields. Without a definite answer on yields, you may want to explore the other characteristics, to paint a complete picture before making the ultimate decision. What Are the Pros of Growing Cannabis Indoors? Growing cannabis indoors is playing god with the environment, creating the perfect place for weed to thrive. Controlling humidity, light, ventilation, nutrients, and more, you can craft a perfect climate for the perfect strain. When done right, it produces potent results. 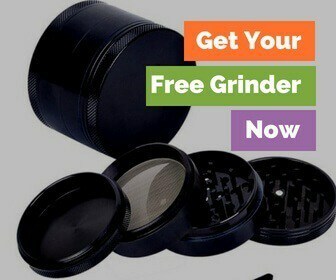 It allows for an extreme level of customization and experimentation, for the true weed farming nerds out there. Indoor grow ops are also much more discreet, and in some places, your only legal option. When grown indoors, cannabis can get highly technical and very interesting. What are the Cons of Growing Cannabis Indoors? Playing god doesn’t come free of charge, it requires tons of investment in infrastructure, climate controls, and automation. Not every new weed business has the cash flow to support the grow room of their dreams, and they settle for less advanced systems, which in turn produces lower yields. There is also a subset of cannabis enthusiasts who prefer sun-grown, outdoor cannabis because it's more natural and, in their opinion, less commercialized. Greenhouses tend to use soil, and rely on all natural sunlight, while indoor operations often go hydroponic and use HPS or LED sources of light. What are the Pros of Growing Cannabis in a Greenhouse? Growing weed in the great outdoors (undercover in a greenhouse), benefits from entirely free natural sunlight. The cost savings alone in energy are worth a second look. You’ll also save significantly on infrastructure, as most greenhouse setups are more affordable than an entirely indoor operation. Greenhouses are more straightforward to expand when the time comes. They have a quick turn around if you choose to scale your grow operation, especially compared to a warehouse build out. Finally, greenhouse operations are more environmentally friendly than most indoor operations, as they are less taxing on resources and may require fewer supplements. What are the Cons of Growing Cannabis in a Greenhouse? So is growing in a greenhouse the way to go? Greenhouse growing is still restrictive to a certain extent by climate. Some regions are still too cold to grow weed year-round from within a greenhouse, at least without substantial investments in heating and lighting. A greenhouse environment also tends to invite a higher risk of blight, mold, fungus, and pests taking over your grow. It’s naturally much easier to implement sanitation procedures within a warehouse, than in a greenhouse. As you can see, greenhouse yield vs indoor yield is not as simple as saying, "oh, you need to go with this one." A lot of it will depend on your location and the outdoor growing conditions, the strains you choose and your ability as a grower. You also need to factor in the costs of your operation. If the greenhouse would produce more yield, but at a higher per gram cost, then is it really worth it? Well, that's up to you and your business.